San Cassiano, in Italy, is a medium sized ski resort with 8 ski lifts (1 gondola, 5 chair lifts, 2 surface lifts) that offers skiers 3445 feet of vertical descent. 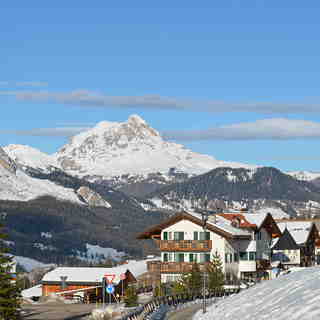 San Cassiano has 25 pistes and is part of the Alta Badia ski areas with a total length of 130 kilometers (81 miles). 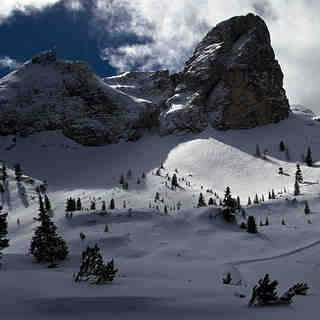 It is also part of the Dolomiti Superski with more than 1.100 km of slopes. San Cassiano is best suited to beginner skiers and snowboarders but there is some terrain for intermediates but little of interest for expert skiers. 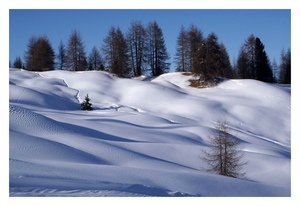 There are 40 kilometers (25 miles) of cross country ski trails at San Cassiano. For snowboarders, there is a terrain park. 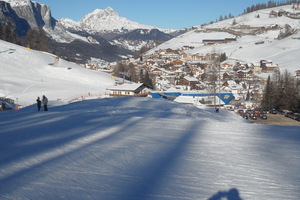 About one third of the pistes at San Cassiano are covered by snow-making. The closest airport is in Brunico but Venice-Treviso and Innsbruck or Bolzano are also good transfer points (however, the transfer time is 2 hours). The nearest train station to San Cassiano is at Brunico or Calalzo. There is accommodation located close to the pistes but we would welcome additional information about any hotels or chalets in San Cassiano. 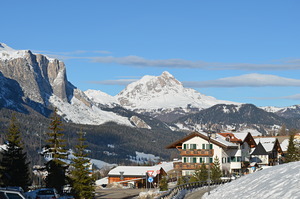 The area is cozy and far away from chaos but linked with Corvara and Sella Ronda. It is just 25km from Cortina and with the skibus it is possible to reach the Falzarego Pass, ski down to Cortina and back to San Cassiano through one of the most beautiful descente in the world, the Armentarola.